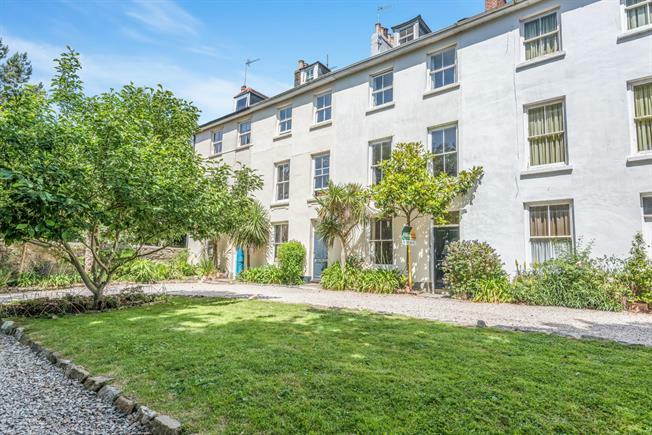 4 Bedroom Terraced House For Sale in Penzance for Asking Price £385,000. Sash windows to front and rear. Exposed floorboards. Feature fireplace with decorative surround. Picture rail. Radiator. Two alcoves. Close coupled WC. Pedestal wash hand basin. Tiled flooring. Radiator. Obscure window to side. Vintage free standing claw foot bath. Double shower enclosure. Feature cast iron fireplace. Close coupled WC. Pedestal wash hand basin. Airing cupboard housing combination boiler. Close coupled WC. Wall mounted wash hand basin. Radiator. Obscure window to side. Two large sash windows to front. Feature cast iron fireplace with decorative surround and marble mantel.. Picture rail. Feature fireplace. Sash window to rear. Exposed floorboards. Radiator. Fitted with a 'P' shaped bath with mains fed shower over. Close coupled WC. Pedestal was hand basin. Window to rear. Shelved recess. Radiator. Two sash windows to front gaining sea views. Feature cast iron fireplace with marble surround and mantel over. Exposed floorboards. Radiator. 'A' framed beams. Sash window to front gaining views to the sea. Exposed floorboards. Velux window to rear. Radiator.